People take it for granted that the Aztecs practiced something called human sacrifice. But what, exactly, is ‘human sacrifice’? What people mean by using this term is that humans are killed to satisfy the needs of a god or gods. We assume that this was true about the Aztecs, but a closer look reveals more about us than about the Aztecs. First of all, the people who were killed were men who fought in various battles. 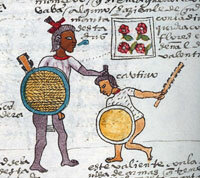 Aztec warriors tried to capture other warriors, not kill them. In our warfare, we encourage soliders to kill other soldiers on the battlefield itself, but in some cultures, such as that of the Aztecs or Maya, this was dishonourable. The rule was to engage in hand-to-hand combat with another warrior and defeat him by capturing him. Some, and only some, of these men captured in battle were later killed in the setting of a temple. But the rationale for the killing – and by this I mean the ‘excuse’ for the killing in the Aztecs’ minds, was war. This is no different from modern wars or medieval wars in which men killed other men, and sometimes women and children, with the excuse that it was part of WAR. In all civilizations, the best-accepted excuse for killing people - for defense, economics, oil, power, resources - is WAR. What makes this different from murder? There are some kinds of killing that societies allow without punishing the killer or killers. These kinds of killing (archaeologists call this socially sanctioned killing) are legalized in a number of countries, and examples would be capital punishment, euthanasia, or even abortion. But the most common excuse for killing people (without being arrested for murder) is WAR. What I am saying is that Aztec society justified having captured warriors killed in temples as WAR and not as ‘human sacrifice’. I doubt that they even had a concept of ‘human sacrifice’ before the arrival of the Spaniards. It seems to have been the Spanish friars who interpreted such killing as ‘human sacrifice’ but the term ‘sacrifice’ or ‘human sacrifice’ does not exist in the Nahuatl language at all. And as for killing in temples, all societies explain wars in ways that call on God or some abstract concept such as truth or justice even if the war involves economic gain, which it almost always does. The Iraq war was said by the Americans to be a fight against the Axis of Evil. English colonial wars were fought for God and the queen. But what was to be gained by these wars? Resources such as oil Wealth? Power? Why have the Aztecs come to be portrayed as so bloodthirsty then? This is a good question. The answer is complicated. But here are some points. • If you compared Aztec wars with European wars even in medieval times, a far fewer proportion of people (men or women or children) wound up dead in Aztec battles than in European battles. • Why, then, do we see the Aztecs as so bloody? The ‘horribleness’ seems to come from the fact that the Aztecs delayed killing their enemies. Even though they wound up killing very few of their enemies compared to all the people who actually fought in the war, we think of them as more bloodthirsty than we are. • Scholars say that Aztec warriors fought specifically to capture other warriors to offer them to the gods and that this gave them prestige. But this interpretation has come down to us largely from Spanish friars and the Aztecs they educated. In real life, no civilization has ever endorsed killing on such a massive scale, and repeatedly, only to please gods! The gods, however, always provide a nice handy excuse for killing that is motivated by other things. • Same as in our wars: resources, wealth, power. • Think about it. Why would a young man repeatedly go into battle and risk his life just to drag his opponent off to a priest? Warriors’ wives alone would start a revolution. This scenario is about as likely as telling young men in Britain to fight in Iraq without paying them a salary or benefits. No one would fight! Unfortunately, relativistic pabulum. Archaeological evidence increasingly indicates the Aztec killed large numbers of people (~20k a year according to some estimates). The author is surely an expert on the Aztecs, but appears to know very little about contemporary European conflicts. (In today’s academy inventing facts about European history to show it was particularly awful in comparison to the “good” cultures of the New World is common.) Medieval warfare generally had low body counts by modern standards with a few unusual exceptions. And capturing high-status enemies was a common feature of European warfare, though they did not have their beating hearts ripped out afterwards nor were they flayed alive and their skins worn by Xipe impersonators. Interesting thought, but inaccurate. 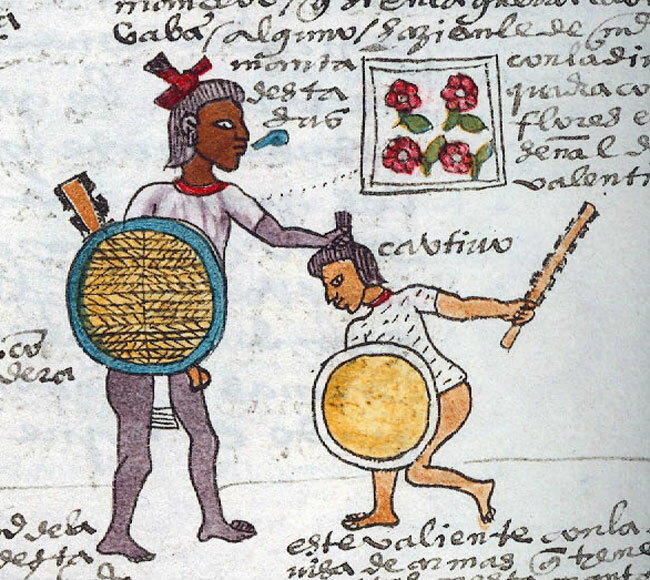 The Mexica culture was based on shedding blood in order to fuel the movement of the sun. You say that the killings were a side effect of war; rather, the wars were elaborately staged and ritualized in order to facilitate the killings. 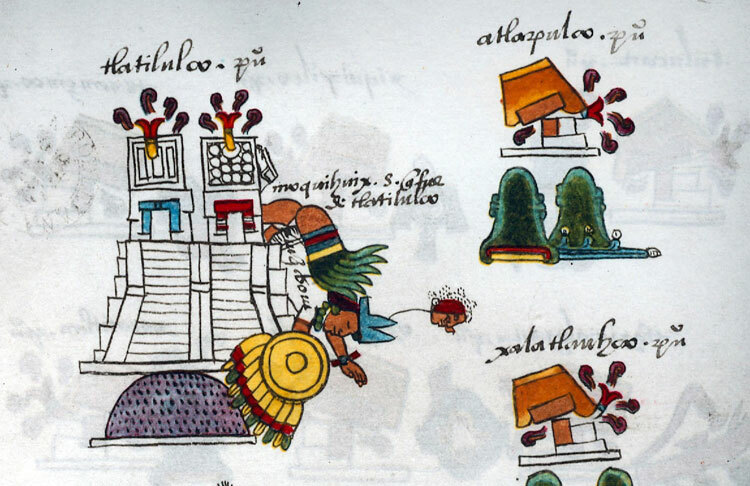 I’m not saying that the Aztecs were monsters; rather, it was a brilliantly calculated strategy on the part of the Mexica tribe to showcase their power and military ability. By repeatedly defeating other tribes in battle, and killing their warriors in a richly cultural display, they maintained their hegemonic empire. But the Mexica religion says that Huitzilopochtli can only move through the sky with the power of shed blood. I thought that this was an interesting article as it highlights the conceptual justification for killing we still practice today. To me there is no difference between chopping the head off of innocents than blowing them to pieces with bombs dropped from drones, both crimes against humanity. JC: great! Around 1995-1998 I had, in paper, an excerpt, if memory serves, from a thesis in anthropology from the University of Bern, putting forward some of the same arguments as you do. Unfortunately, I lost it when my car got stolen a couple years later, and in all that time I just can’t seem to be able to find the source again. Would anyone have any knowledge about it? It’s not the first [time] history has been changed to the benefit to aquire money and power. I appreciate your article but feel that the whole matter of human sacrifice by the Mexica as is common knowledge today is a myth. 1. There are no credible documents confirming that the Mexica performed human sacrifice. a. The sources and basis for the human sacrifice myth are documents prepared by the Spanish (Cortez, Diaz, etc.) or chronicled by Spanish priests. These sources are not reliable because the documents were prepared to suit the writer’s own agenda. i. The grand Spanish agenda in creating and propagating the human sacrifice myth was to justify the war against the Mexica to the Spanish Crown and the Pope. Remember, the conquistadors were not sent to conquer the Mexica by the Spanish Crown. Cortez’s company took that action upon themselves and later needed to justify their actions to their superiors. ii. The Spanish were not beyond lying when chronicling their actions or justifying them. Another myth, that the Mexica believed that Cortez was a returning god was invented by the Spanish priests. The Spanish priests initially claimed that the Mexica believed that Cortez was their god of War in person but another Spaniard spoke up that this was not true. The priests kept pushing and eventually their lie that the Mexica believed that Cortez was Quetzalcoatl stuck. Quetzalcoatl is not the god of War that they initially claimed but a different God. iii. Diaz, wrote that he witnessed the sacrifice of other Spaniards in Tenochtitlan from the bank of the lake. Many people have actually sourced him in the comments of this article. But careful study has proven that Diaz could not have seen anything from the bank of the river since that would have meant that he was some three to four miles away from the Mexica temple. There is no way he would be able to see that far and much less be able to see a heart still pumping in the Mexica priest’s hand from that distance. iv. While the Spanish priests used Mexica to develop their chonicles in which they helped cement the human sacrifice myth, the Spanish were the final editors of this work which brings the completed works into question. b. 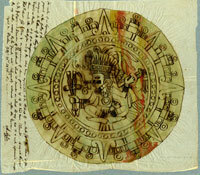 All pre-contact histories and records developed and maintained by the Mexica were destroyed by the Spanish priests. Then the Spanish priests went about recreating the Mexica histories and chronicling their culture. This is very suspicious. Why not keep the original materials as reference but instead try to recreate them from the native’s memory? This reeks of the Spanish rewriting or at least editing the Mexica’s history to meet the Spanish agenda. Many scholars have even pointed out that the Mexica interviewed by the Spanish priests were not reliable (i.e. either too young to be witnesses to the events described [such as human sacrifice], or were zealous followers of the Spanish priests. At any rate, the Spanish priests were the final editors of the interviews. There are no documentational proof from prior to the Spanish contact supporting the human sacrifice myth. All the sources are post-conquest and they are all influenced by the Spanish in one way or another. 2. Interpretations of archaeological finds are also suspect. a. There is a circular argument occurring in interpreting archaeological finds. Archaeologists based their assumptions on historians who based their assumptions on the Spanish and post-conquest sources. As such, these archaeologists interpret anything they find as human sacrifice without doing further analysis. These archaeologists then publish their work, which in turn further cements our common knowledge that the Mexica practiced human sacrifice. i. Example one, if they find pre-contact artwork depicting human sacrifice, they immediately claim that it is a representation of human sacrifice. No thought is given to whether or not the image is symbolic in some manner. Could the images be a representation of some self-sacrificing action that their diety undertook? Could the religious ceremony then invoke this sacrifice by the diety? This isn’t farfetched. Our Catholic churches contain statues or paintings of a crucified man, a symbol for the self-sacrificing action taken by the diety. These images do not confirm that Christians crucify people. No one is crucified at every mass at the sacrifice of the mass and their their flesh is not eaten and their blood is not drunk correct? The one-time sacrifice of Jesus is made present during the ceremony. Similar parallels could have occurred in Mexica worship. ii. Example two. Bodies buried in the temple are immediately shown as support for human sacrifice. Nine to ten children were found buried in either Templo Mayor or in the neighboring Tlatelolco site. Archaeologists provide no proof that the children were sacrificed. But they assume this relying on the baggage of their education. In the articles that I read, these archeologists only provide as proof of human sacrifice that the bodies were buried in the temple mounds and that they bodies were carefully positioned at the time of burial. These archaeologists did not explore other options, such as maybe the children were buried there for other reasons other than because they were sacrificed. As the records that may have shed light on these burials were destroyed by the Spanish, we cannot reference them. But what if the children died of natural causes and were buried there after the temple was built? Were they the children of nobles that died naturally and were buried there? Were the children holy persons and were buried in the Temple after it was built? The altar in every Catholic church contains a relic, a bone or body part of a saint (holy person). These relics can be a small finger, tooth, a knee, a shin, anything that came from the saint. The saint was not killed to have their body parts placed under alters. Why should we then assume that these children were killed to be buried under the pyramid? iii. The above applies to any body found buried in the temple. What I find disturbing is that a senior lecturer in University Colllege London should put forward such a peurile argument. What’s her agenda in trivialising and casting a nice gloss on the horrific deaths of thousands of men, women, and children? Perhaps we should work on justifying other atrocities too - there are plenty sociological and psychological reasons we could put forward for genocide for example. And finally, they were humans and they were sacrificed - therefore it is precisely accurate to call it ‘human sacrifice’ - what else? Mexicolore replies: The arguments presented here are perfectly valid and thoughtfully presented. No-one is trivialising anything, nor putting gloss on anything. I like seeing a different perspective on the role of human sacrifice. However, the descriptions of the various Aztec rituals show a prescription that a certain number of persons be killed, or that women or others be used for ritual sacrifice. They may well have frequently been ‘captives’, however, their deaths were nevertheless not due to the activity of war but due to the demands of religious ritual. It’s not mere “delay” in killing, it is killing for a purpose other than winning the war. Interesting to see a different perspective. Definitely caught my attention and i see why it shouldnt be called “Human Sacrifice” and this was simply one of the Aztecs cultural practices and not a killing crisis that was to be found entertaining or amusing. Interesting how, during WWII, Hiroshima, Nagasaki, as well as countless humans were killed for the right of power. Nagasaki’s 50 thousand or more souls lost killed without a blessing. What would the rest of the world felt like if, one by one, children and adults were burned in front of them--modern “sacrifice” is so much more pleasant. One thing lightly touched here is the Spanish chronologists’ bias. Making the Mexica (Aztecs) into terrible people justified killing so many. Estimates of over 70% Mexica dying from diseases or violence may be low. To justify conquest, the Spanish (and others) have always painted pictures of brutish people with horrid religious practices who needed the guidance of priests--Catholic or otherwise. If you study the culture, you see that Mexica captives were often given to families, where they were educated and given rights of citizenship. This was a masterful way of “conquering” people. When you apply the knowledge that the Mexica traders and businessmen were given the status of ambassadors with the ability to set treaties, you see another agenda, where multilingual people with diver cultural competency were much needed to further the Mexica’s biggest asset--trade. Even these days Pan De Muerto, or breads shaped into either skulls or whole human bodies, is made. These are baked for Los Dias de Los Muertos—Days of the Dead. The bread, made in Pre-conquest times of amaranth flour, was one way the harvest surplus was distributed throughout Tenochtitlan. This conveniently overlooks the textual and archaeological evidence for child sacrifice - such as the sacrifice of 48 children placed in a box in the Templo Mayor! Mexicolore replies: What’s ‘convenient’ about it? The article discusses ‘human sacrifice’ in broad terms. We hope to cover child sacrifice among the Mexica in a forthcoming piece. There’s no ‘hidden agenda’ here...! i am researching for a paper, and know that the first one to interpret the symbols were Christianized folks that were decedents of the conquistadors or the converted mexica Indians. blood thirsty i don’t know but what i wonder is why is many god and goddess represent the same ones in Tibet and India, but they did not interpret that culture wrong, so why are they getting it wrong? the god of war, hustilapostle (excuse the spelling) is actually a name for a time of the sun, which there are i believe four stations of the sun in aztec culture, he is the morning sun represented by the humming bird, why are hummingbirds represented by war here? because the ones interpreting them were under the higher influence of whomever was paying them, any other reasons? id like more information on. great article and does not go far enough. As i’ve said in another comment, there is no clear evidence that there were human sacrifices happening. The explanation from the people who still carry on the tradition is that these glyphs are of surgery. Just because one western scholar has quoted a spanish account of sacrifice and it’s made it into history books does not make it fact. Just because we misinterpret glyphs does not mean they show bloodshed. So much of mexhika culture has been misinterpreted.. Anyone who studies archaeology will know it’s about who shouts their theory the loudest who gets heard..
Mexicolore replies: Actually, Dylan, we feel there’s plenty of evidence from researchers - many of them Mexicans - from many traditions and backgrounds that points to Mexica ritual killings. The question raised in this article is what to CALL these practices. Codex glyphs certainly do show bloodshed: if they depict surgery, it certainly wasn’t of the life-saving kind...! Refreshing thinking, a total paradigm shift to encourage us to really understand what is behind associations such as Aztec culture = human sacrifice. Bravo! Mexicolore replies: Thanks for this positive feedback, Mariella. I ‘m having trouble grasping the point of this post. The title seems misleading, because the Aztecs clearly practiced some kind of ritualized killing, as we know from archaeological remains (not to mention codices and the chroniclers, whose bias must be taken into account). If this wasn’t “human sacrifice,” then what was it? The final paragraph suggests that the captors obtained some kind of economic resources from their captives. I am aware of no documentary support for such a notion. If this really happened, we would expect at least some hints of this practice in the sources, if not outright descriptions of it. There are a number of reasons why this scenario is unlikely (e.g., resources were locally based, and a captive in Tenochtitlan could not transfer his wealth from back in the provinces to a Mexica captor. Similarly tribute rights were locally based and not transferable.) But most of all, I dislike the title of this post, since it plays into the “new age” revisionist view that the Aztecs were peaceful crystal-gazers, not warriors who practiced bloody rituals of sacrifice. Mexicolore replies: Point well taken, Michael, and the last thing we want to do is give support for the revisionist approach that you rightly decry; the author is NOT denying the killings, simply questioning the use of the term ‘human sacrifice’ to refer to them. How do others feel? It’s silly to say the Aztec did not engage in human sacrifice. 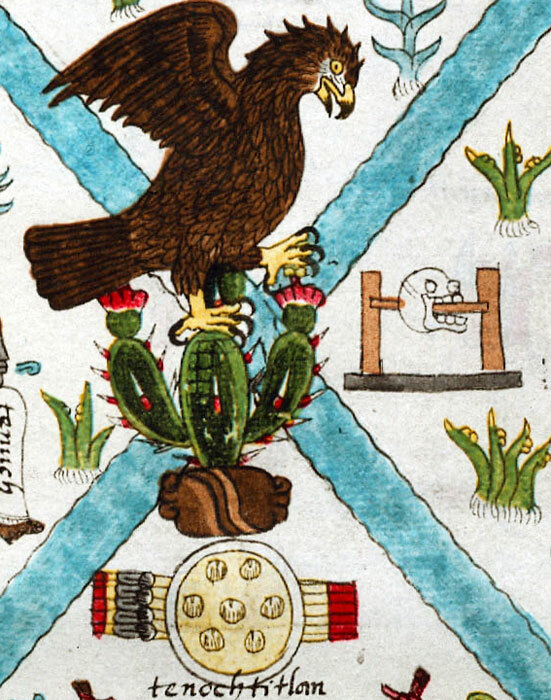 Of course they did, as Aztec art and archaeology shows, not just biased Spanish testimony. See Pic 6 in my Atlatl article. Although war was part of the context, children were often sacrificed as well as men captured in war. As for the motivation of warriors, all too many people fight for “God and Country” today; religious belief worked then too. True, warriors also had “practical” motives then and now - success in war meant prestige, tribute, or today medals, officer status, career in politics - how to rise in power and position whether you are an Aztec or a modern American. Instead of whitewashing the Aztecs, perhaps Graham would do better to turn the issue around. The European cultures of the time also engaged in human sacrifice, although they would have hotly denied it. The Inquisition and similar organizations, and crusades against non-Christians and Christian heretics can be seen as war and politics, but they were also seen as pleasing to God and necessary for religious reasons. Burning a heretic in front of the church was human sacrifice just as cutting out a captive’s heart at the Sun Temple.